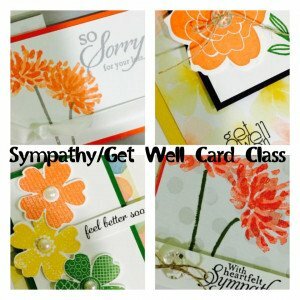 Card Creations Class April 14th – Sympathy & Get Well Cards. Sign Up Quick! Hi everyone! Thank you for stopping by! 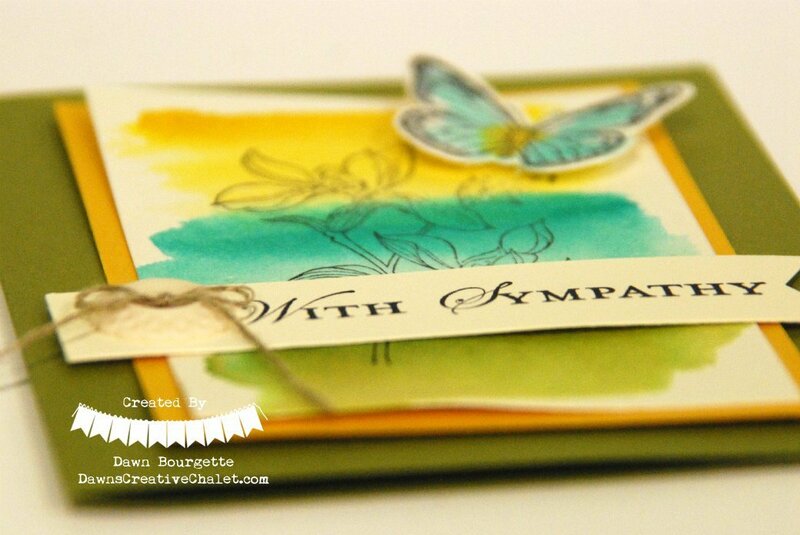 On April 14th I have a Card Creations Class Scheduled! 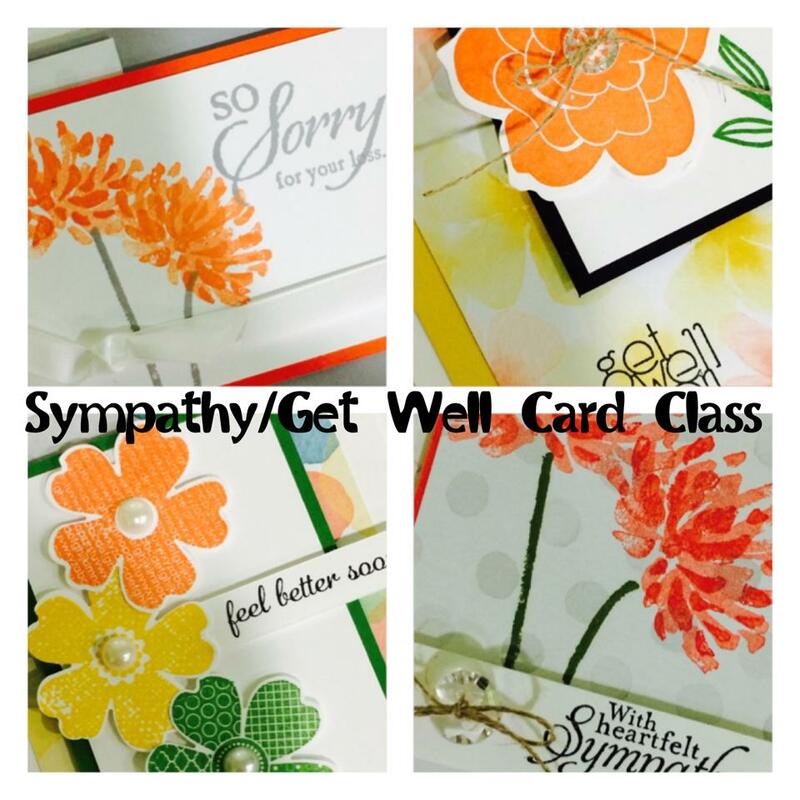 The theme will be Sympathy / Get Well Cards. I have to admist, I myself have a hard time making Sympathy and Get Well cards – I guess it is because I know the person I’m sending it to, is not in the happiest of places. I just hope when the receive my card, it gives them comfort in knowing I’m there and I’m thinking of them. My cards are like a big hug in an envelope. When we give cards, we want others to know we have made these cards with love! I hope you will be able to join me! 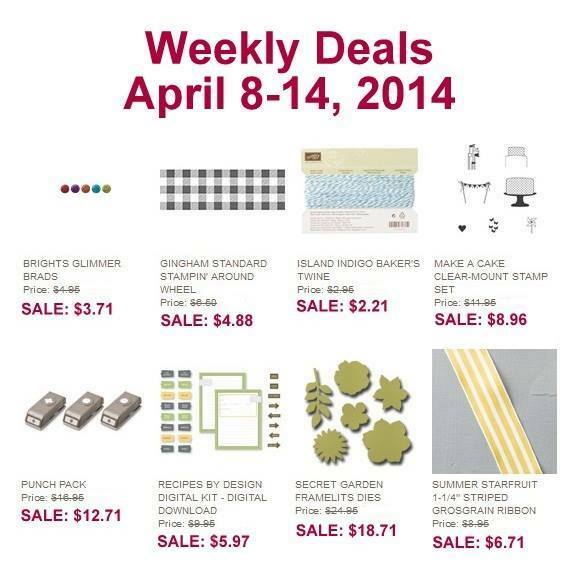 I welcome brand new stampers as well as seasoned stampers. My goal when you come to one of my classes is to make sure you have FUN and are comfortable. I am here to make your card making experience a good time. 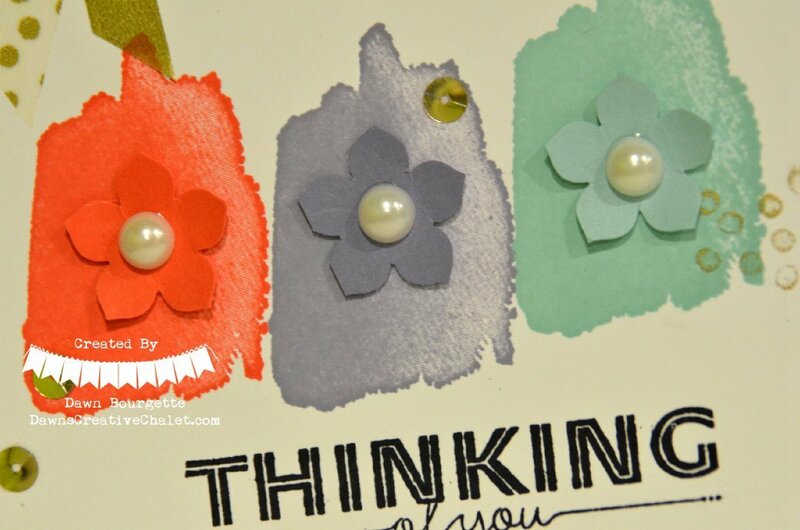 My job is to show you that YOU TOO, can create pretty cards! Space is limited! Make sure to reserve your spot right away! 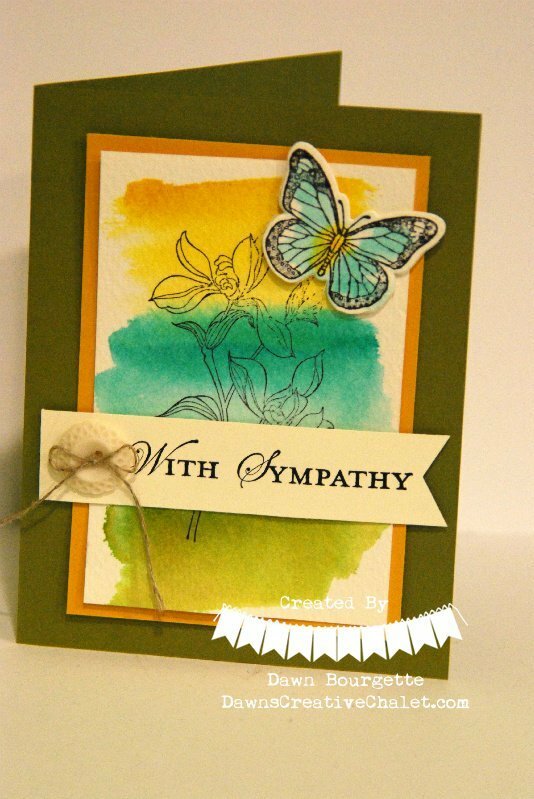 Today I thought I’d share a Sympathy card with you. I do not make these often.. nor do I make Get Well cards enough. I need to have these on hand. When you need a card, you need a card ASAP. I thought I better make a few to have on hand. I love how this turned out – I used the watercolor paper and the aqua painter. P S .. If you are looking to order out of the Holiday Catalog, make sure to do so fast, as the last day to order is on January 2 – the day before the NEW Spring Catalog becomes available! I hope you are as excited as I am!! Shop The Holiday Catalog Until Jan 2 2014! 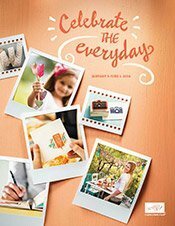 Click Here – To view the PDF File Of The Carry Over Items Into The NEW Occasions Catalog! I know that some of you have called and said you did receive your NEW Occasions Catalog! Isn’t it exciting to see new Spring product? 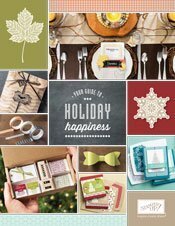 Start To Shop The Occasions Catalog Starting Jan 3 2014!